Today at the White House, as part of his “Educate to Innovate” campaign to lift American students to the top of the pack in science and math achievement over the next decade, President Obama will announce several new and innovative partnerships involving major companies, universities, foundations, non-profit organizations and government agencies designed to attract, develop, reward and retain outstanding educators in science, technology, engineering, and mathematics (STEM). These partnerships will build upon initiatives already announced by the President in November at the launch of the “Educate to Innovate” campaign to motivate and inspire students to excel in STEM subjects. STEM education is a hot topic among educators and school officials nationwide these days. President Obama’s focus on this topic through his “Educate to Innovate” campaign is a challenge to schools everywhere to increase teacher availability, student interest, and overall performance in these subjects. Increase STEM literacy so that all students can learn and think critically in science, math, engineering, and technology. Improve the quality of math and science teaching so that American students move from the middle of the pack to the top in the next decade, and are no longer outperformed by students from other countries. Expand STEM education and career opportunities for underrepresented groups, including women and minorities. 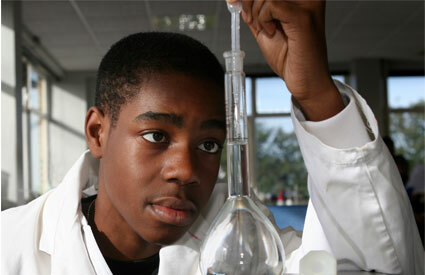 Current research shows a decided decrease in interest in STEM subjects by American students. This is an alarming trend and one that needs to be addressed. Competence in these subjects is a leading indicator of a nation’s ability to sustain itself, since these subjects tend to span a plethora of occupations and professions. Proficiency in STEM subjects helps prepare students to handle the many challenges of the future, not just of our country, but worldwide. So what’s causing the lack of interest in math and science? Brian Greene, a professor of mathematics and physics at Columbia University and best-selling author, is strongly behind the push for more emphasis on STEM subjects. He theorizes that the current education system has taken the curiosity out of math and science by making students afraid to be wrong. There’s been such a focus in the past on right and wrong answers that children are now afraid to engage their natural curiosity and ask, “What if?” Encouraging children to once again use their innate curiosity to make discoveries about the world around them is key to the success of STEM education. There’s also a shortage of teachers in STEM subject areas. Teaching positions in math and science are often the hardest to fill in today’s schools. The “Educate to Innovate” program includes a partnership with Intel that would allow for the training of 100,000 U.S. math and science teachers over the next three years. However, in order to fully support the goals of the program, up to one million teachers will need to be recruited in the areas of math and science over the next five years. Schools need to come up with ways to attract this talent. Having enough teachers who are involved, excited, and able to engage students in STEM subjects is one of the most important steps schools can take to be successful in this initiative. This leads to a quick discussion of exactly how teachers might more effectively engage students in the subjects of math and science. Getting students to see that math and science are relevant to their own lives seems to be one of the major topics of conversation on discussion boards and Web sites all over the country. It’s encouraging to watch the ideas emerge. Some teachers are developing their own curriculum, some are partnering with museums in their local area, and some are using on-line materials to supplement their school’s textbooks. For more information, visit the STEM Education discussion board on Edutopia.org. Providing students with quality education in science, technology, engineering, and math skills is critical in preparing them to be leaders in the 21st century. The issues these students will face as grown-ups will be large and complicated. Giving them a firm foundation in STEM literacy now is one of the best things schools can do to prepare them for success in solving the challenges of the future.